Does Your Faith Amaze Jesus? Title: Do you amaze Jesus? 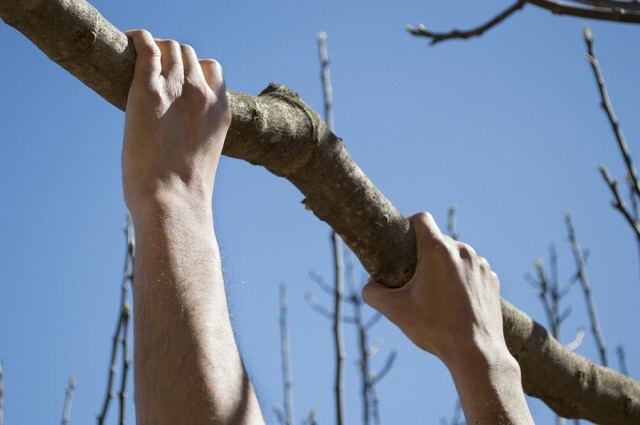 A man fell off a cliff, but managed to grab a tree limb on the way down. The following conversation ensued: “Is anyone up there?” “I am here. I am the Lord. Do you believe me?” “Yes, Lord, I believe. I really believe, but I can’t hang on much longer.” “That’s all right, if you really believe you have nothing to worry about. I will save you. Just let go of the branch.” A moment of pause, then: “Is anyone else up there?” (Bits & Pieces, June 24, 1993, p. 3.) Has your faith ever been tested? Did you pass? There is something about faith. Some celebrate it while others ridicule it, but no matter what people think or say about it, there is something powerful about faith. Hebrews 11:1 says: “Now faith is confidence in what we hope for and assurance about what we do not see.” (NIV) To many in the world, faith in God is seen as childish, but to those who have a faith in God and His Son, faith is absolutely beautiful. If you have a strong faith in God, then you have a treasure. Friend, there is something about faith. How is your faith? Hebrews 11:6 says: “And without faith it is impossible to please God, because anyone who comes to him must believe that he exists and that he rewards those who earnestly seek him.” (NIV) There are those in this world who may think I’m a fool for having faith, but without it, I cannot possibly please God. Faith is vital. How is your faith? Is it growing? These are important questions to consider, because when life has you hanging by a branch, doubts can begin to creep in. It is in these times that our faith can be shaken, and if we aren’t careful, we can find ourselves taking our eyes off of Jesus and calling out, “Is anyone else up there?” If you read the first four books of the New Testament, you will quickly find that Jesus was thrilled when he encountered a person of faith. You will also notice that he rewarded faith (see Matthew 9:20-22, 27-30; Matthew 15:21-28). However, when Jesus encountered a lack of faith, it frustrated him greatly (see Matthew 17:14-21; Mark 16:9-14). I believe we see these reactions from Jesus because he knew the potential of faith in the life of a believer. He knew the doors that could be opened through faith, but he also knew that a lack of faith would slam those doors shut. I ask again; “Do you amaze Jesus?” Is Jesus amazed when he sees your faith in him, or is it your lack of faith that amazes him?